Mumbai: The thermoluminescent dosimeter (TLD), a radiation detection device, an essential measure for protection for medical staff working with radiation equipments in any hospital, has not been provided for the students of radiology at the Grant Medical College and Sir JJ Group of Hospitals. This shocking revelation came through an RTI which showed that the students in these medical colleges, have been conducting CT scans, X rays and sonographies in the absence of these badges for the past three months. 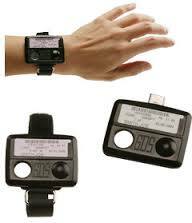 The badges measure high radiation exposure, which can be the cause of cancer in those exposed. Dr Meenakshi Wahane Gajbhiye, HOD of Radiology Department of the college, tried to pass on the blame to AERB, which in its turn stated that it was merely a regulatory body and no way responsible for providing TLD badges. “We conduct regular inspections to ensure hospitals give TLD badges to all its students and employees, as failure to do so is a punishable offence. The first warning is a notice, but if the hospital ignores it, it can be asked to shut shop,” said Dr Sonawane, Head of Radiological Safety Division, AERB. Swapnesh Kumar Malhotra, Secretary AERB, speaking about the use of TLD stated that it was essential for those working in the radiology department to wear it, as it records the amount of radiation one is exposed to and ensures safety. Students on the other hand seem to be living in the fear of the far reaching consequences of the missing TLDs’ on them. The reason why TLDs’ are pivotal is that they keep a tab on radiation levels the wearer is exposed to. Rays activate the electrons in the badge, which in turn leads to storing of energy in the badge.